Sea Buckthorn Insider | Sea Buckthorn Skincare Products – What Should You Look For? Sea buckthorn oil is well known for skincare. It can rejuvenate, nourish, heal, repair, reduce inflammation, soothe, and beautify our body’s largest and most visible organ. Just apply the oil, let it absorb, and enjoy renewed, radiant, youthful skin! This is a cherished beauty secret in select parts of Asia and has been for thousands of years. Today sea buckthorn oil can be found in many skincare products. This segment is growing rapidly due to sea buckthorn’s recent popularity in the United States. There are a few sea buckthorn skincare brands available, such as SeabuckWonders and SiBu, that specialize in sea buckthorn. There are also several larger skincare manufacturers that are starting to offer sea buckthorn in a couple of their products, such as Aubrey and Weleda. With all the products available, how does one know where to start? Well you can always start with sea buckthorn oil! We’re a big fan of using the pure oil if you can. If you prefer skincare formulas make sure to read into each product carefully! They are not all created equal! The more sea buckthorn the better results. Period. The big manufacturers are splashing some sea buckthorn into their current lotion formulations to catch some of the action. These products are not specialized, nor are they idealized, to give the best benefits. The sea buckthorn specialty manufacturers have a lot more experience with sea buckthorn for the skin and know the oil. Even they vary in the amount of sea buckthorn provided. Check the labels, read the company websites, and get a feel for their formulation. If they aren’t striving to jam as much sea buckthorn in there as possible, move on. The results are in the sea buckthorn. Here’s another area of vary amongst manufacturers. Sea buckthorn can be found mainly in Asia, Russia, Europe, and Canada. The quality and nutritional profile from these sources varies widely. Sea buckthorn from the Himalayan mountains is generally considered top notch with high levels of Omega-7 fatty acids – the rare omega responsible for such amazing skin results! Outside of the geographical consideration, find yourself some USDA organic sea buckthorn. You only want the best being absorbed into your skin, right? 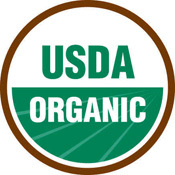 If it’s USDA organic it’s also non-GMO! Lastly, be sure to find sea buckthorn with the highest Omega-7 content you can. As said before, Omega-7 is responsible for many of sea buckthorn’s cherished results. 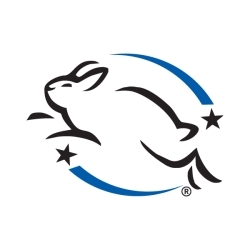 Look for the Leaping Bunny cruelty-free logo and certification. It is the most thorough and involved process ensuring no animals are harmed at any phase of product development. There are other cruelty-free designations such as PETA’s bunny however they’re more or less a ‘taken for word’ certification. The Leaping Bunny program conducts independent audits and requires paperwork starting from the ingredient supplier all the way through to the company with their finished products. 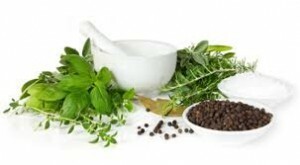 Last but not least, make sure your skincare product contains only natural ingredients. It’s not uncommon for skincare to have ‘odd’ ingredients that may make the finshed product look attractive while compromising on what can really be considered natural. If it sounds unnattural it probably deserves a Google search. Granted, some ingredients are natural and well accepted in the natural product’s industry and don’t sound clean. That’s why it’s important to do your research. ← Sea Buckthorn Juice: the Ultimate Vitamin C Drink? 10 Responses to Sea Buckthorn Skincare Products – What Should You Look For? Both sea buckthorn fruit oil as well as sea buckthorn seed oil work very well as additives to already existing lotions. The best way to get the highest concentration of Omega-7 is to use a high quality oil. Any of our sponsors are great sources for high quality sea buckthorn oils and you can get to their websites by clicking on the ads you see on our site. A little bit of added oil goes a very long way, so you won’t need to use too much. 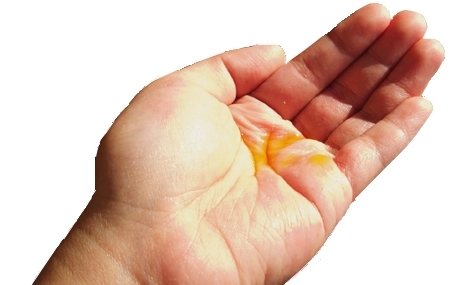 Also, you will see that sea buckthorn fruit oil is an extremely bright orange. You won’t be able to add too much oil without it becoming greasy. It could also even stain fabric if too much is added. Luckily, as long as you have a top quality oil, you will be able to add just a few drops and still get great results. Don’t forget, the oil from the seed is great on skin too. It doesn’t have Omega-7 but it does have Omega-3 which is also great for skin. Pinterest is a great source for DIY lotion recipes. I found a lot of DIY recipes by typing in the key words: DIY sea buckthorn lotion. It depends on what type of product you are looking for. In general, we suggest starting with a facial cleanser and lotion as part of your daily routine. Sea buckthorn products are great for sensitive skin. Our sponsor brands carry a great line of skincare products for sensitive skin. You can find them by clicking on the ads. If you have more specific questions let us know. Could I put it on my eyelid? I had surgery a year ago and I still feel the stitches side. It is not an smooth area. It shows a thick line when I put eye shadows. By the way. Can you put it along an incision as a result of a surgery that I had a year ago? Yes, you can put it near your eyes but try not get the oil into your eyes. You might want to add some oil to a facial cream to help keep it on the right area. Yes, you can put it on your incision. If putting the oil on wounds that are still healing, make sure to sanitize the wound first. So, does it help to get rid of scars? The Berry oil is great for helping to reduce scars. It is also good to add to cuts or other wounds that are healing to help prevent scars. I just had laser on my lips to remove outline tattoo. I have a small amount of blistering? What kind of buckthorn if any I can use? Is it safe to put oil inside the lip? If any. What kind?